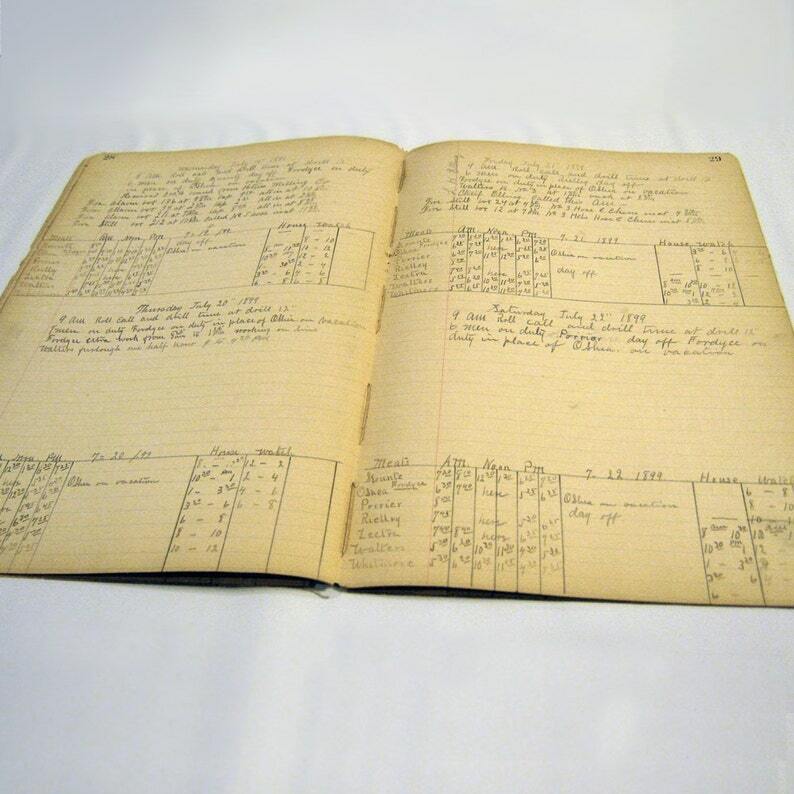 This listing is for 20 signatures (10, 2-sided pages) from an 1899 Toledo, Ohio, Fire Department journal with handwritten daily entries of fire house activities written in pencil. Some of these aged pages are chipped in the corners. Each page measures 8.25” wide x 13.5” long. These journal pages are ideal for use in collage and junk journals.